Company Newsroom of Gridraw Inc.
We are developing Gridraw series. Gridraw offers comfortable usability for software engineers and improves the quality and speed of the design. 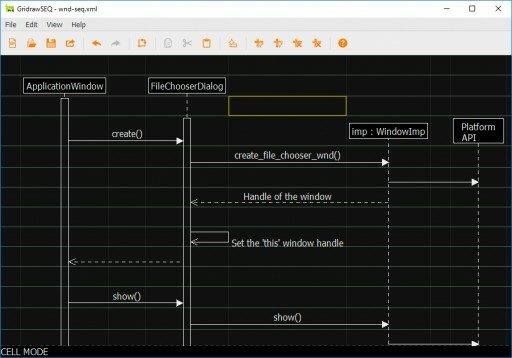 Now the Gridraw series supports three UML diagrams - class diagrams, sequence diagrams and state machine diagrams. 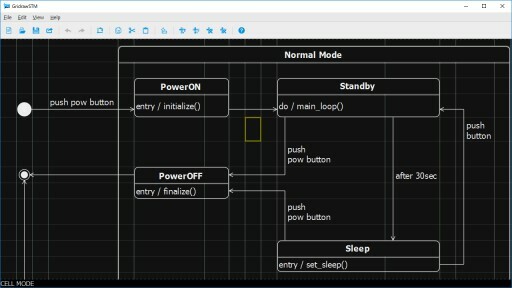 Gridraw, the lightweight UML editor, has been updated. The addition of 42 key assignments significantly improves its performance and ease of use. Posted May 2, 2016	We released new Gridraw ver.0.09! The main additional function of this version is a scroll bar. It is able to scroll by mouse wheel. And it be easy to understand the position on a whole diagram when scrolled by keyboard. Sign up for email updates from Gridraw Inc..